You’ve got a red, white, blue, green or yellow dust collector industrial filter cartridge and you need a replacement. Is it critical to order the same brand or color replacement cartridge filters for your industrial dust collector? The answer is “No”. Any dust collector cartridge filters meeting OEM specifications will provide the same performance as the one that originally came with your dust collector. The only difference is the color and cost. Industrial Maid offers cost-effective dust collector cartridge filters that are guaranteed to meet or exceed OEM specifications at prices that can’t be matched. Our dust collector cartridge filters offer maximum efficiency and lifespan for all major brands of dust collection systems in the market and are available in a variety of media. If you do not see your filter below, please contact us directly! We offer FREE shipping on all cartridge filter orders! Other available brands include Baldwin, United Air Filter, Clean Air America, Guyson, Mac, Plymovent, Wagner, and Wheelabrator. Why buy Industrial Maid Replacement Cartridge Filters? Industrial Maid replacement cartridge filters are ideal for a variety of industrial applications, including plasma cutting, laser cutting, welding smoke and fume, wood dust, grinding dust and grain dust. Temperature, humidity, particle type and size and tackiness are all factors that affect the performance of your dust collection system. Industrial Maid engineers can assist you in selecting the most appropriate industrial filter cartridge media for your application. 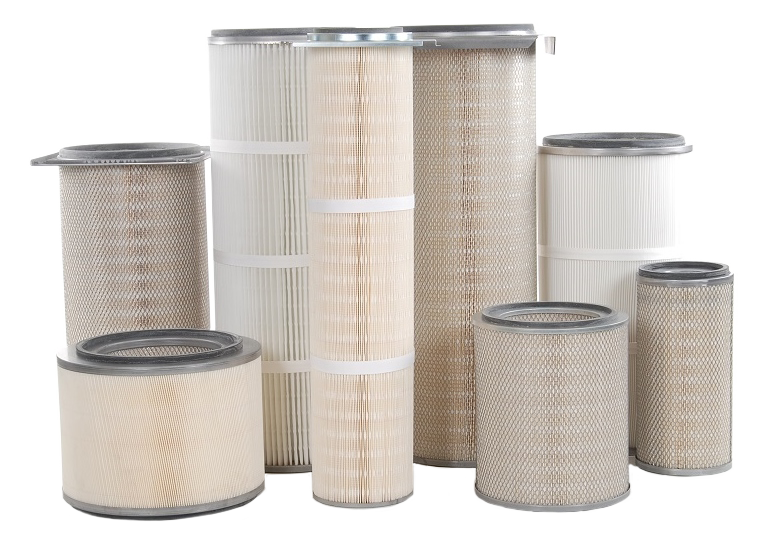 In addition to industrial air filter cartridges, Industrial Maid also offers other types of replacement filters, including pleated dust collection cartridges, extended surface bag filters, metal baffles, metal mesh, carbon medias and polyester roll materials that enable your industrial dust collectors to run at top efficiency in any work environment.